Nothing can prepare you for the Darkness. Along with the (rather pointless) MTV Movie Awards this past weekend, Hollywood brought in a few new movie trailers and TV spots for a few of their upcoming summer movies. 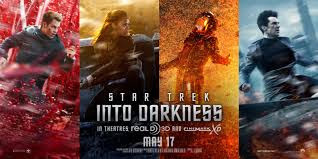 One of them in the spotlight is Star Trek Into Darkness, J.J. Abrams' sci-fi sequel reuniting us with the intrepid Enterprise crew, lead by Chris Pine as Captain Kirk, Zachary Quinto as Spock and Zoe Saldana as Uhura (plus Bones, Chekov, Sulu and Scotty - not seen). 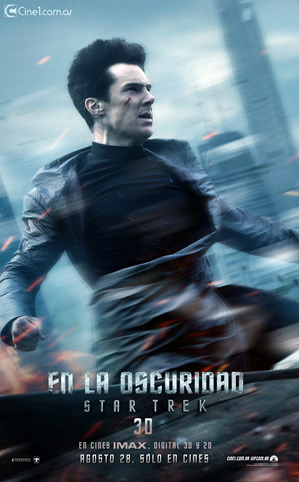 In addition to a new TV spot for Into Darkness, featuring a few fly-at-you phrases, a set of four character posters showing the aforementioned crew members plus Benedict Cumberbatch have been unveiled. They're definitely selling the gritty side. 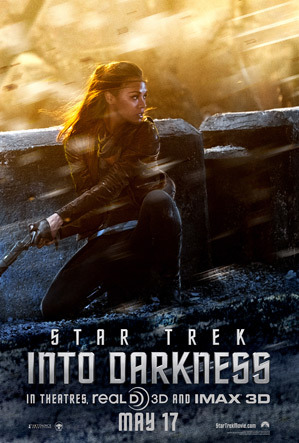 Star Trek Into Darkness is the sequel to the J.J. Abrams-directed reboot of Gene Roddenberry's original science fiction series. 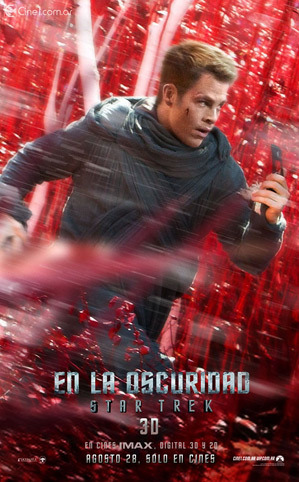 The screenplay this time was co-written by Roberto Orci & Alex Kurtzman & Damon Lindelof. 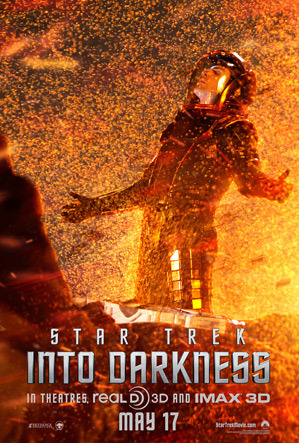 Paramount is bringing Into Darkness to theaters May 17th this summer.